Progressive change at Boggioli has not been confined to agriculture. Over the years many shade trees (cedars, pines, horse chestnuts, lindens and a plane) have been planted around the house, and stone walls now keep the main banks of the terraces near the house in place. The barn was restored some years ago and offers comfortable lodging for two. In 1998 there was a major event: the construction of a swimming pool. This is 15 m long and occupies the site of the former vineyard, close to the house but out of sight and earshot. 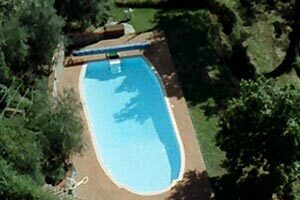 As summers in Tuscany seem to be getting hotter, the pool has proved a great boon. 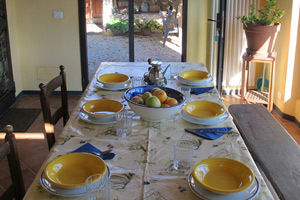 Boggioli is now able to offer confortable, year-round hospitality to family, friends and acquaintances. For more information, please contact info@boggioli.com.